The number of registered dentists has doubled in the last 8 years*. That's great news for business, but also means a more competitive and crowded market place. Multiply can help you stand out from your competitors. 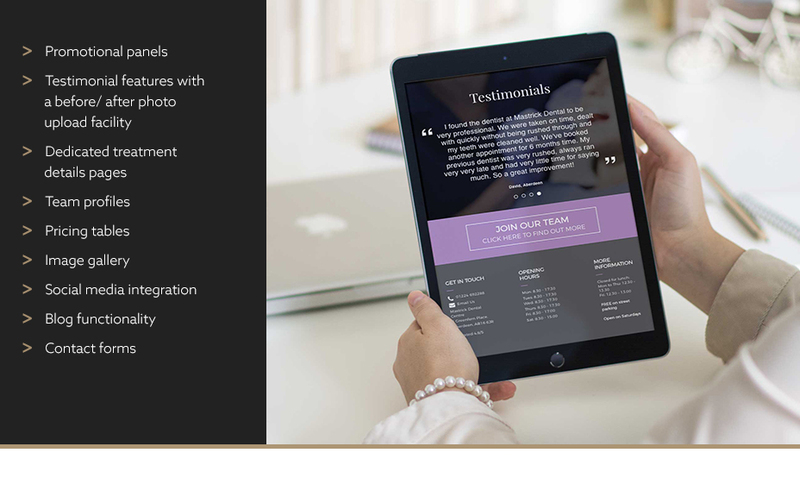 Multiply is an award-winning digital marketing and communications agency. We understand patients' needs and what drives them to choose a dentist or treatment. If you already have a website, we’ll review the user journey for your new and existing patients and analyse how well your site shows up on Google searches. 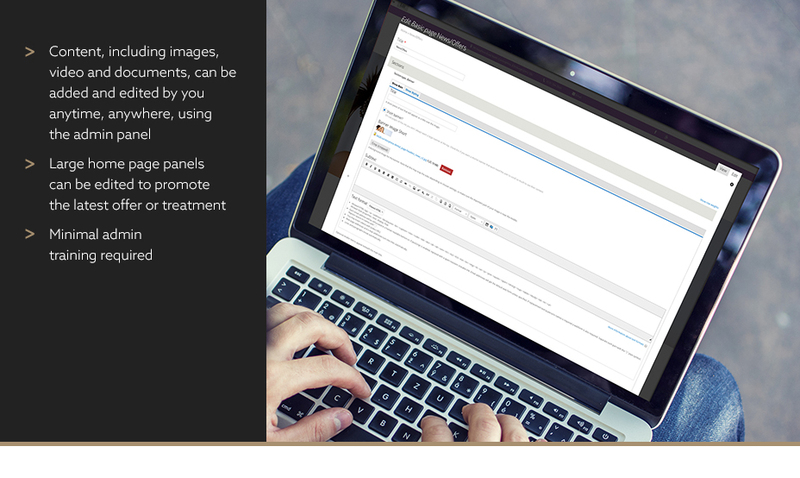 We’ll then recommend how your site and your patients’ online experience can be improved to provide a more effective service and a better user experience. 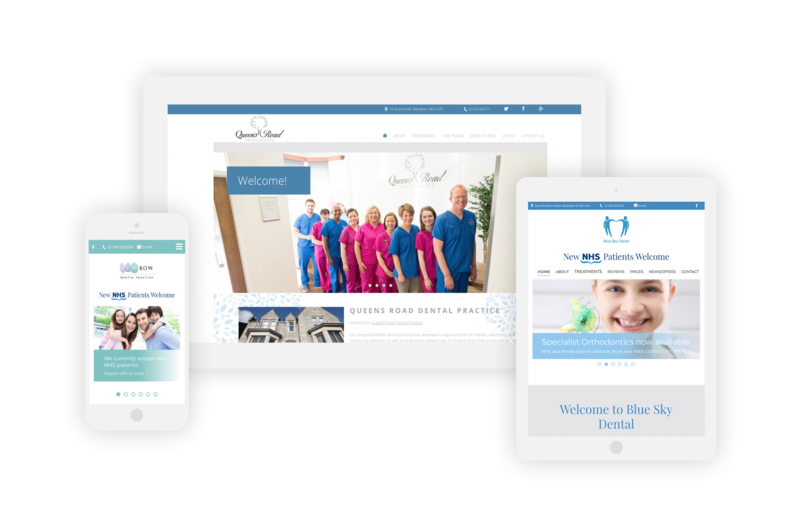 If you don’t have a website, we’ll look at how your patients currently interact with your practice and identify how we can enhance your ability to serve your current patients while helping you to attract new ones. Our affordable websites use a suite of customised templates to delivery a fully-responsive solution so websites an be viewed on desktop, tablet and mobile. The sites can be easily updated using our simple user interface. 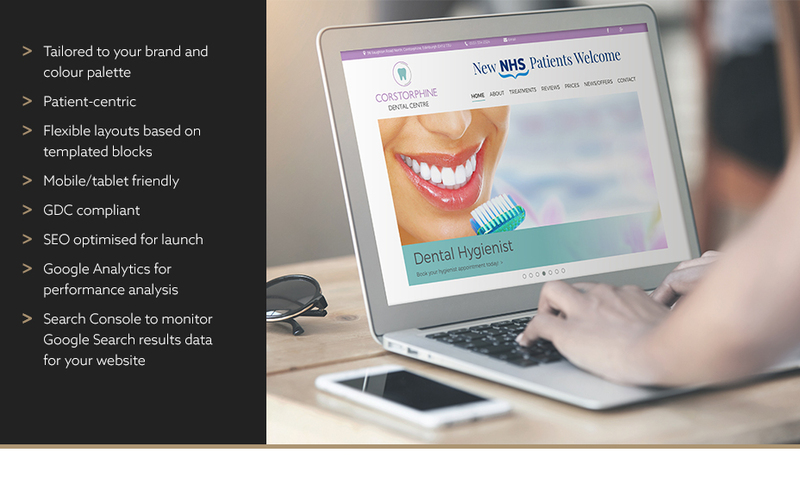 A specialist dental site that's attractive, intuitive and full of content. Packed full of features specifically designed for dentists. Easy to maintain and refresh. Email us or call 0131 718 0550 to speak to David.